This article provides a step by step guide to installing TANE Deluxe SP2 using the new DVD installer (for Box edition disks received in 2017 or later). The default location is as shown above. If this is a new install, click Next. We recommend that you click Cancel and then change the name (e.g. 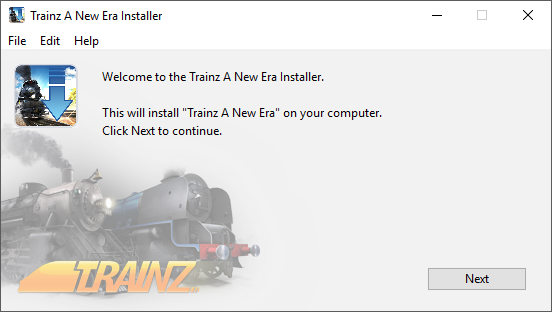 to Trainz A New Era SP1) then click Next. This step copies the data from Disc 1 to your harddrive. This requires at least 20GB of space. 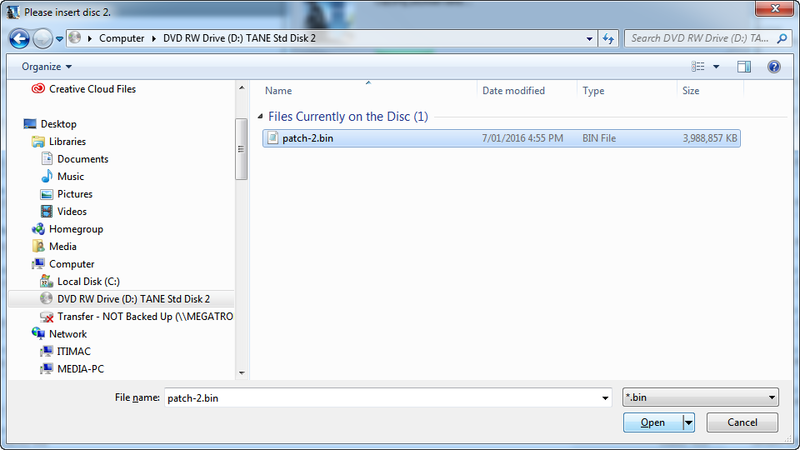 When prompted to insert Disc 2, Windows Explorer may select a path such as the image below. 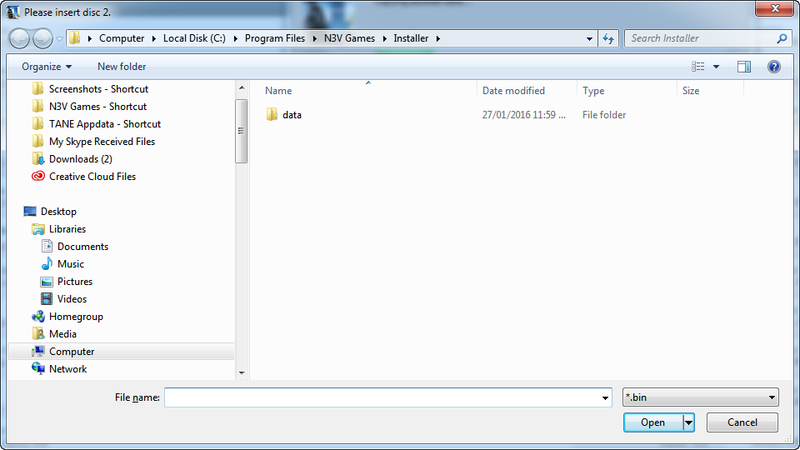 Navigate to your DVD Drive and click on patch-2.bin then click Open. When complete, the TANE SP1 Launcher will automatically start. 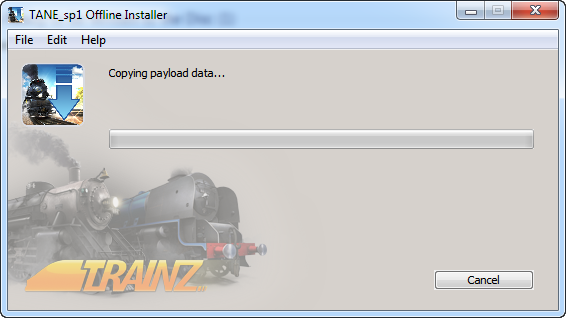 Click Start Trainz to bring up the Trainz Product Key entry window. For new users, enter the Product Key that came with your installation discs. If you do not have a Key and need to enter it at a later date, the Install Tab allows entry of your correct Key. 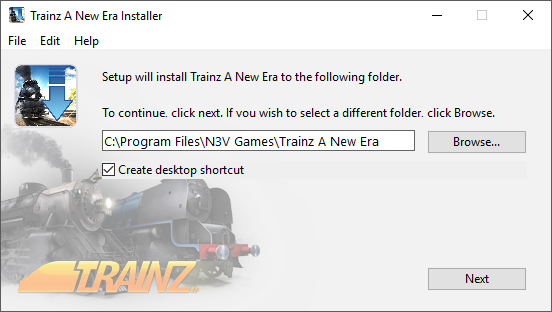 Enter your EXISTING MyTrainz username and password in the Launcher if you want to use the online features (and untick the "disable" box). 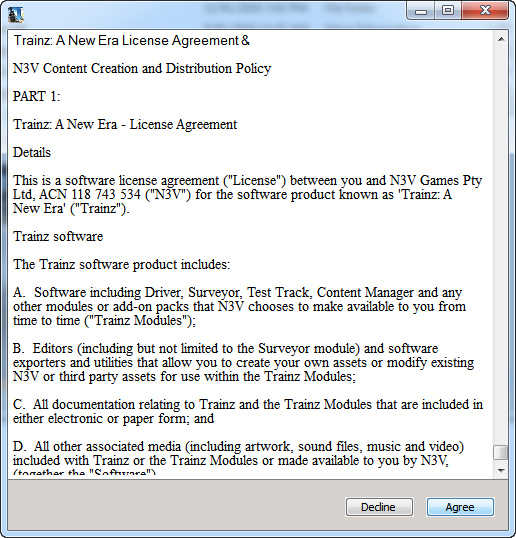 DRM Free "Deluxe Edition" DOES NOT require you to register your Product Key in MyTrainz.